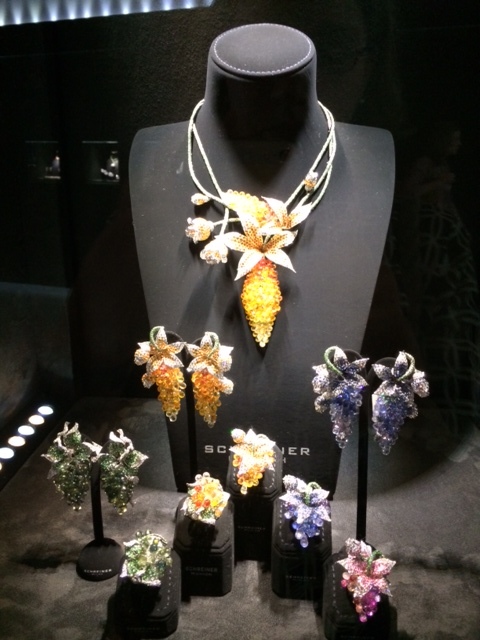 Have you ever been in Basel World – an exhibition for luxury jewelry and watches? Imagination and beauty are present here. It is also a place where the global industry professionals meet and discuss the future trends. In 2014 the message was clear: luxury goods show very good progress in terms of revenue growth and new markets. According to the exhibitors, growth is coming especially from the US and Arabian markets as well as from Asia. For example these global luxury brands were present in the fairs: Chopard, Graff Diamonds, Fabergé, Hermés, Hublot, Louis Erard and Swarovski. One of the shining element was the Swarovski exhibition with their crystal Mini-car. This auto was designed for the Royal family Catherine and William for their wedding. It consists of thousands of Swarovski crystals. Luxury watches are fabulous and the variety of brands, colors, diamonds, precious stones, art, fine craftsmanship and functions are really amazing. Some of them also take the sporting elements into account like for example the Movado (www.Movado.ch), which is ultra-light, high-tech and strong performance design watch. The case and bracelet are made from carbon fibre. Another interesting example is from Doxa (www.Doxa.ch), which vintage watches for women and men really are sophisticated, elegant and fashionable. Vintage Fusion Ladies and Vintage Fusion Pilot´s are retro pieces for limited amount of 100. One of the global mobile phones companies Vertu (www.vertu.com) was also present in the fairs. According to their sales director Chris Bedworth, Vertu expects growing sales especially from Asia and the company has presented new models with different assessories. Flora and fauna in the Basel fairs. ← What about M2M and LEED? is very low. You are loosing a lot of traffic. You need high Page Rank backlinks to rank in top10.